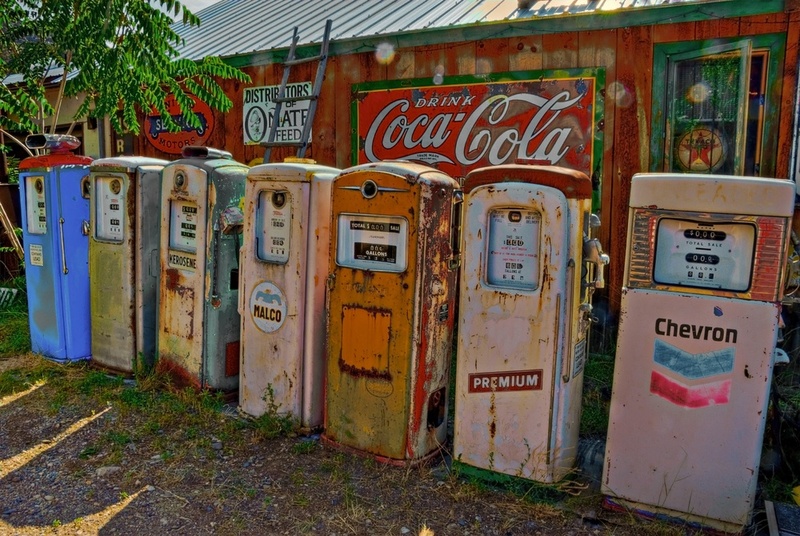 In the little town of Embudo, New Mexico there is this roadside stop which is an antique gas museum. It has an amazing collection of old gas pumps, roadside signs and other things from years past. It is a very interesting place and the collection of Americana is impressive. It's almost like stepping back in time. These old gas pumps are lined up everywhere - it's a great place to take photos, especially in HDR since everything is covered in layers of rust.